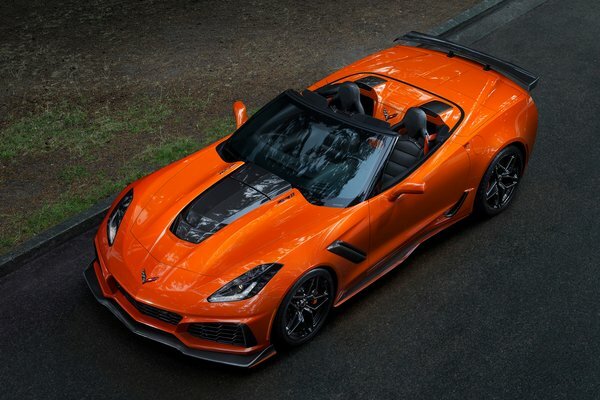 Chevrolet today dropped the top on the 2019 Corvette ZR1 with the global introduction of the ZR1 convertible, the first ZR1 drop-top since the original 1970 model-year ZR1. On sale next spring alongside the Corvette ZR1 coupe, the ZR1 convertible emphasizes Corvette's iconic proportions and functional sculpture, highlighting the seamless transition between the exterior and interior. The ZR1 coupe will carry a suggested retail price of $119,995, while the ZR1 convertible will start at $123,995 (prices...Read.